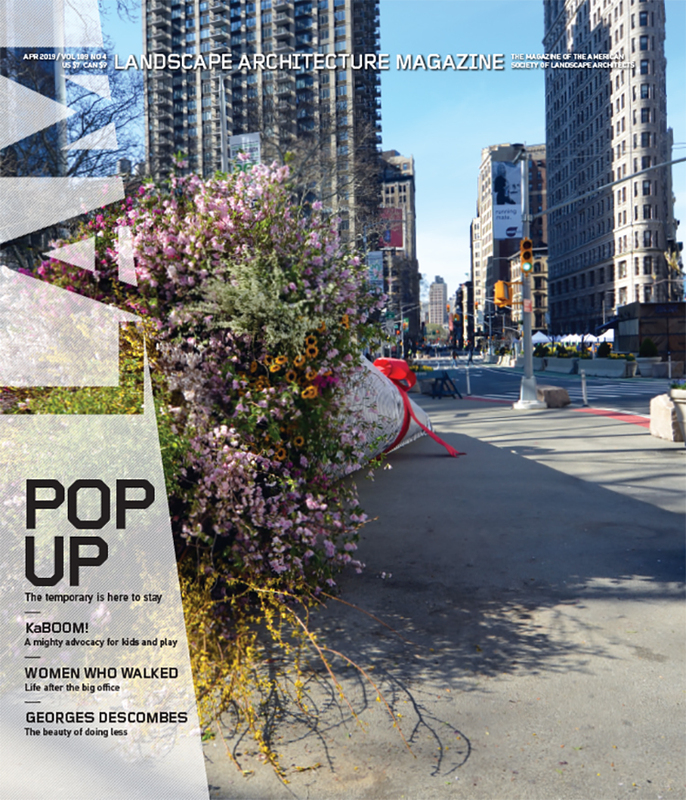 In May’s issue of LAM, the current lack of supply of native plant species in the United States shortchanges the potential for a more diverse landscape; Catherine Seavitt Nordenson, ASLA, leads a team at City College of New York to combine landscape architecture, climate science, and urban planning for better coastal resilience; and in Japan, Studio on Site’s persistence for the use of trees in its designs reconnects the city with nature. In the departments, the Boston Schoolyard Initiative helps transform urban schoolyards into learning oases; open expanses in Vancouver’s Oppenheimer Park, designed by space2place and McFarlane Biggar, allow the peaceful coexistence of both homeless and local residential users; and Spurlock Poirier’s benched plans for San Diego have the potential to create a healthy, green network throughout the downtown area. All this plus our regular Now, Species, Goods, and Books columns. The full table of contents for May can be found here. 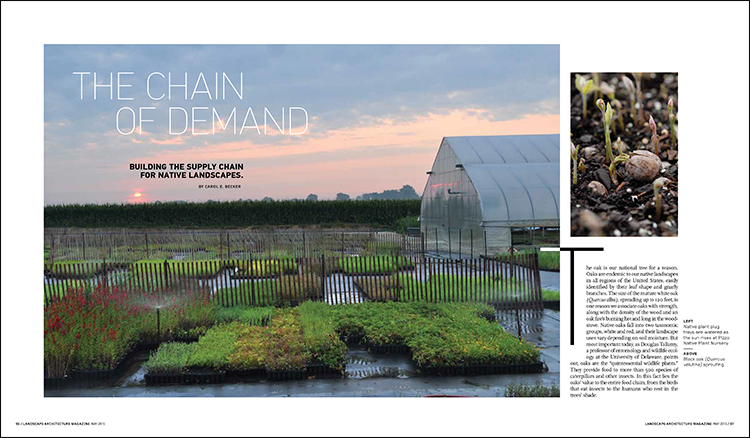 Credits: “The Chain of Demand,” Courtesy the Pizzo Group; “The Storm We Don’t Know,” © 2015 Structures of Coastal Resilience, Jamaica Bay Team; “Trees For Tokyo,” Makoto Yoshida/Yoshida Photo Studio; “Just Add Nature,” Christian Phillips Photography; “Every Kinda People,” Courtesy space2place Design; “The Thin Green Lines,” Spurlock Poirier Landscape Architects and Joe Cordelle, Animate Digital Studio.